Citizen Diplomacy International is a nonprofit organization that empowers Philadelphians to represent our city and the United States through person-to-person diplomacy. We believe that personal interactions help shape U.S. foreign relations, have an impact on our national security and the United States’ reputation around the world. We showcase the best of Philadelphia and make global connections for our citizens; inspiring Philadelphia to be a global city and be globally recognized. Our network of volunteer Citizen Diplomats welcomes nearly 1300 international visitors every year to Philadelphia on high school exchange programs, professional exchange programs and trade missions. We partner with the Department of State and the City of Philadelphia to host international delegations and show them all of the great things that Philadelphia's world famous for - which is more than just cheesesteaks. 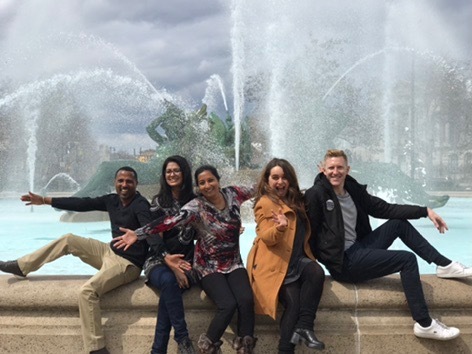 International exchange contributes to the world's growth and stability and enriches Philadelphia with a deeper understanding of world cultures and ideas. A more civil, peaceful and prosperous world starts with you.